West Jordan, Woodland Fairy Festival (4/20): The Gardner Village Woodland Fairy Festival is back! With something enchanting to discover around every turn, there’s fun to be had. Ogden, Earth Day Celebration (4/20): Come learn, play and celebrate Earth Day at the Ogden Nature Center. Ogden, Easter Egg Hunt (4/20): The hunt will start at noon and we will have a prize raffle after the hunt. Alta, Alta Earth Day (4/20): LL DAY FREE EVENT - Join Alta for its 10th annual community Alta Earth Day on Saturday, April 20, 2019. Alta, Egg Hunt (4/21): Visit with the Easter Bunny this year in the mountains of Little Cottonwood Canyon. Layton, April Open House (4/20): Join Lucky Bamboo Tattoo as we open our doors to the public! Come check out the gallery of art created by our very talented artists! See why Lucky Bamboo Tattoo is so great! Layton, Foster Care Month Community Celebration and Pancake Breakfast (5/4): Please join us for a free pancake breakfast sponsored by Kodiak Cakes and Hilton Garden Inn Layton to celebrate our Northern Region Foster Mom of the Year. Lehi, Qbiz Lecture Series: Dustin Lance Black (5/10): Come spend your morning with us and enjoy coffee and pastries as we listen to oscar winning screenwriter Dustin Lance Black. Logan, 11a Feria de la Salud (4/20): Due to a time conflict at the Logan Recreational Center, the Hispanic Health Fair has been changed from April 13th to April 20th. Sorry for any inconvenience! Logan, Anna Karenina (4/12 - 4/20): Anna Karenina is a woman who dares to obey her heart by leaving her scrupulous husband, Karenin, and traveling with her charming lover, Count Vronsky, across Europe in a scandalous affair. Logan, Collecting On The Edge (9/15 - 5/4): Modern and contemporary art created in the American West has been largely written out of the mainstream narrative of art history or placed in unhelpful contexts. Logan, Miss Bacon’s Parody Palooza (4/19): Join Miss Bacon as she hosts what is sure to be a memorable show. Logan, Spring Tap Showcase (4/27): All classes will rehearse for the Stampede Football Game from 5:00-5:40 p.m. at LaShars. Murray, Morris Brothers Open House (4/20): Please join us as we host Cars and Coffee with the Intermountain Region Porsche Club of America. The event is open to all! Murray, Redefining Opera (4/20): I have told the story of why I sing the way I do and where my grandmother comes in.... and perhaps why I will always sing this way! 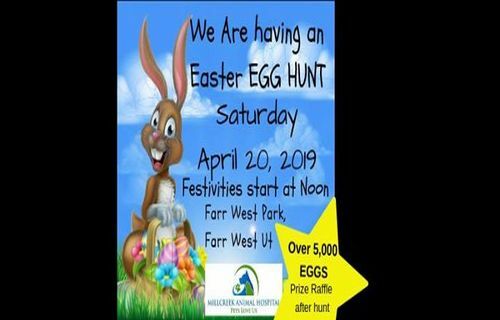 North Salt Lake, Easter Egg Hunt (4/20): Come and join us at this FREE event. Bring all your peeps with you! It’s going to be so fun! Ogden, All About Plants Workshop at HEAL (4/20): A SIMPLE approach to gardening. Learn how to use what you already have! Ogden, Building Fundraiser Auction (4/20): No donation is too big or too small! All donations are tax deductible under the Wasatch Cowboy Church’s 501c3 status. Ogden, Free Easter Egg Hunt Hosted by Ogden City Recreation (4/20): Come out and enjoy a great time with your family. Ogden, Friday Nite Karaoke At The Sand Trap (4/26): Only some of the best Karaoke you're going to find in the state. Great sound, largest music selection in Utah (I can prove it), a fair rotation of singers and Jackson the origional Karaoke Dude. Ogden, Healing Flight 1 Documentary Premiere at Walker Cinemas (5/4): Never-before-seen footage about the story behind the hanging of the flag in Coldwater Canyon and see the KSL documentary on the big screen! Ogden, Introduction To Drawing with Annette Orrock (4/27): With Artist, Annette Orrock study the basics of drawing at a Saturday morning workshop on April 27, 2019 from 10:00 a.m. to 1:00 p.m. at the Eccles Community Art Center. Ogden, Paint Night Social (4/20): Paint Night for April is here! Come on in and paint those minis you've been neglecting. We will have table space reserved for painters from 6pm on. Ogden, Satin Steel Live at Brewskis (4/19): Our goal is to create an environment where the club patrons party with the band rather than being a “jukebox” providing background music! Orem, Elton John & Tim Rice’s AIDA (4/12 - 5/4): Aida is an epic tale of the timeless bond between an enslaved Nubian princess and an Egyptian soldier. As forbidden love blossoms, the young lovers are forced to face death or part forever. Orem, Opening Night~ Del Parson Originals Show (4/19): We are so excited to host Del Parson for an originals show. Please come and see the incredible works of well known Utah Artist, Del Parson. 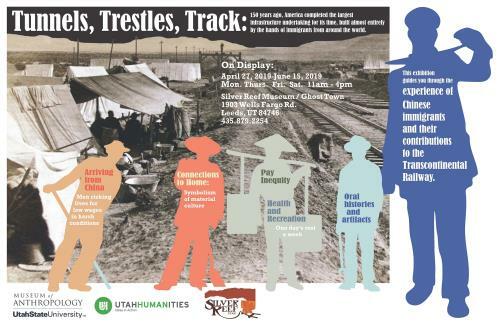 Park City, Exhibition Community Opening for Zhi Lin and Parker Jones (4/19): Internationally acclaimed artist Zhi Lin confronts the lost history of the Chinese workers who built our nation’s transcontinental railroads. Provo, Bunny Bowl (4/20): Bunny Bowl at FatCats Provo on Saturday April 20th from 11am to 3pm. Provo, Patient Appreciation Day (4/27): As our way to say thank you to all the people who make our practice successful, we are hosting a Patient Appreciation Day on April 27th! Provo, Queer Prom 2019 - Pride at the Disco! (4/27): Take your pride to the disco dance floor for this year's official Provo Pride Queer Prom! Come and wear your pride on your sleeves. Be yourself and have a great time! Provo, Sundance Author Series – Eric Klinenberg (4/20): Includes lecture and discussion, signed copy of the author’s book, brunch in the The Tree Room and gratuity. Provo, Voices of Change (4/19): Empowering, Supporting, and Inspiring youth and families to promote positive change. Saint George, Blue Butterfly House Luau Fundraiser Dinner (4/26): Please join us for the Fun, Dinner and Live Entertainment. Opportunity drawing and auction. Salt Lake City, Andrew W Boss (CD Release Party) (4/19): Come on down to The Royal and rock out with SLC's upcoming rockers!! Salt Lake City, Cinco De Mayo Chefs Tasting Dinner (5/5): In 1862 the Mexican Army enjoyed victory over the French at the Battle of Puebla. To this day, it is celebrated with delicious Mexican favorites and Tequila. Salt Lake City, Community Passover Seder (4/19): April 19: Come celebrate Passover Seder with friends and family! Salt Lake City, Easter (4/21): Sometimes we get so caught up in the day to day stresses-work, relationships, chores- that it’s easy to get discouraged and lose sight of the bigger picture. 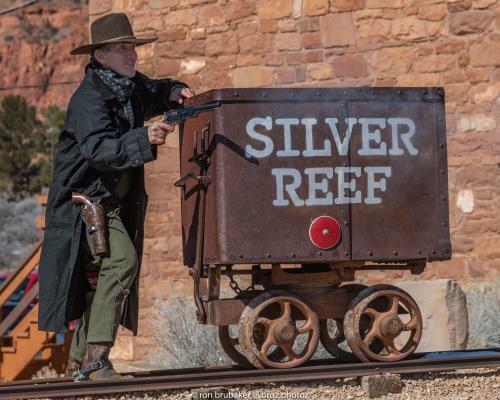 Salt Lake City, Easter at Abravanel Hall (4/21): Calvary Salt Lake is celebrating Easter Sunday at Abravanel Hall on April 21, 2019. Salt Lake City, Family Night (4/26): Please join us for fun, food, laughter and a time to express your love to our Pastor and the First Lady of Calvary. Salt Lake City, First Annual Baithak (4/27): There will be kathak performances by students of the school and music performance by well know musicians from the valley. Salt Lake City, Free Dental Fair (4/27): The Junior League of Salt Lake City's Dental CARE Fair is on Saturday, April 27 from 9:00 a.m. - 3:00 p.m. No appointments necessary, and all ages welcome. Salt Lake City, Great Gatsby Dinner Dance (4/27): We're Puttin' On the Ritz at our 2nd Annual Great Gatsby Dinner Dance. This will be the "Bees Knees", happening of the year! Salt Lake City, Hummingbird - All Ages SLC Painting Experience (4/19): Join us as at The Paint Mixer as we paint a vivid composition! Salt Lake City, Kitten Foster Training & Orientation (4/27): Help save and nurture the lives of kittens this season! This free informative workshop will go over what you need to know to be the best kitten foster! Salt Lake City, Magic Show Series at the Studio (4/19): Come see our final magician of the season at the Studio Theatre! Salt Lake City, Modern West Fine Art (4/19): Just a reminder, we will no longer be at our 2 & 2nd location. We are looking forward to sharing with you our new and engaging space. Salt Lake City, Moorea Masa & The Mood + Joshy Soul (4/20): MOOREA MASASongs have always been there for Moorea Masa (pronounced More-ray-uh Mah-sa), being raised in the musical mecca of Portland, Oregon. Salt Lake City, Northern Lights (4/20): J&S Entertainment presents The Northern Lights 4/20 Rave. Featuring the heaviest DJs utah has to offer. Salt Lake City, Pacific Heritage 2nd Annual Ori Tahiti Comp! (4/20): Pacific Heritage Academy is proud to announce our 2nd Annual Ori Tahiti Solo Competition and it will be held on Saturday, April 20, 2019. Salt Lake City, Reimagine Learning Gala (5/4): Here at the Children’s Synergistic Learning Collaborative, we believe a viable culture depends on mentally healthy, socially intelligent, and self-directed individuals. Salt Lake City, Riitual 4 year anniversary w Youngsta, Khiva, Cult 45, Morzfeen (4/27): We are excited to be combining forces with the Dubwise crew to help celebrate 4 years of pushing RIITUAL bass weight in The Ciity of Salt April 27th @ Urban Lounge! Salt Lake City, Salt Lake Comic Convention (4/19): All guests that we announce have committed to attend the show. Salt Lake City, SWS Electronic Open Mic (4/26): We want to hear all the cool sounds and beats you've been making with your gear! This is an open mic for anyone that wants to come down and share some electronic music/ noise. Salt Lake City, Teacher Sessions: The Art of Sequencing (4/20): There is an art and science to yoga sequencing. Teachers are often trained in rudimentary ways to think about how to sequence their class (often based on shapes or flows). Salt Lake City, The April Alliance Tour (4/19): The April Alliance Tour kicks off April 19 at The VFW Post 3586. Salt Lake City, Utah Asian Charitable Foundation 2019 Scholarship Gala (5/4): We will be bestowing academic scholarships to deserving Asian students attending Utah colleges, universities and business schools. Salt Lake City, Wasatch Contras (3rd Saturday Dance) (4/20): The band will be Frayed Knot! Sandy, 2019 Walk to Cure Arthritis Salt Lake City, UT (5/4): Whether you’re an arthritis warrior yourself or care about someone who is, sign up and WALK to CURE Arthritis. Sandy, Blooming Bash (4/26): Mark your calendars, book your babysitter and join us for our premiere fundraising event of the year! Sandy, Empower You Expo 2019 (4/27): Experience the 14th annual Empower You Expo 2019! Sandy, GB Sandy Two Year Anniversary! (4/20): It's already time to celebrate again! That's right! We've been open for TWO years on April 15th. So let's celebrate together. Save the Date! Sandy, Realms & Wonders of the Sacred Self, New 1-Day Intro Workshop (4/27): We are doing a NEW 1-Day taste of this wondrous course on Sat. April 27th!!! Stansbury Park, LWLF Suicide Prevention Walk-A-Thon (4/27): This Walk-A-Thon is being held in conjunction with the Annual Walk to Wendover. We understand that many of you cannot take three days off, to Walk to Wendover. West Jordan, NAMIWalks Utah (5/4): NAMIWalks is a fun, family-friendly event and there is no cost to register. West Jordan, Pet Therapy and Animal Assisted Interventions (4/19): Dr. Janelle Dimer Ph.D, LCSW will be presenting, " Pet Therapy and Animal Assisted Interventions" on April 19th 11:30 am. West Jordan, UTLP Convention Kickoff Reception (4/19): This is a chance to meet & mingle and share ideas for the coming year, enjoying good company and some tasty hors d'oevres. West Valley, 4th Annual KAVA Talks Dinner and Silent Auction (4/20): Please join us in the movement to eliminate the effects of violence by attending the 4th Annual KAVA Talks Dinner.